Vitamins have important biochemical roles in the brain and are needed for proper cognitive function. Certain vitamins not only help keep your brain functioning at its peak, but also protect against brain disease and functional decline. When you provide your brain with the right vitamins, you're boosting your ability to focus and concentrate. Your brain requires niacin, vitamin B-3, to maintain a constant supply of glucose to meet its energy needs, which makes niacin a good vitamin for concentration. Severe niacin deficiency, which can occur in cases of chronic alcoholism and in people who have problems absorbing nutrients, can result in neurologic symptoms such as poor concentration, confusion and memory loss. Niacin-rich foods include whole grains, potatoes, poultry, fish and meat. The recommended dietary allowance for people age 14 and older is 14 milligrams per day for women and 16 milligrams for men. A 3-ounce serving of cooked yellowfin tuna, for example, contains 18.8 milligrams, and a 3.5-ounce serving of oil-roasted peanuts provides 13.8 milligrams of niacin. Vitamin C is vital to proper cognitive function, and it's among the best vitamins for focus. It accumulates in the central nervous system, with neurons of the brain having particularly high levels. 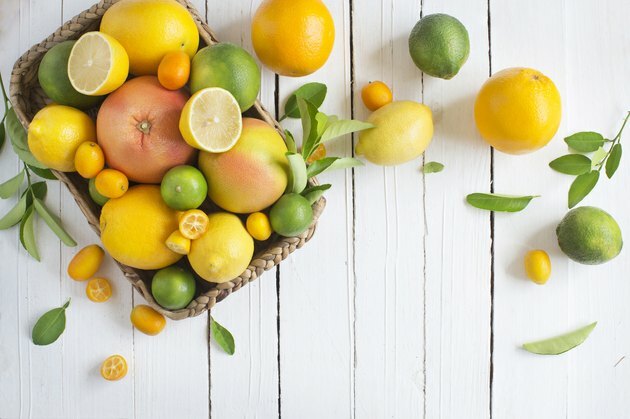 Vitamin C is required for making the neurotransmitter norepinephrine, which affects the part of your brain where attention and responding actions are controlled. As a powerful antioxidant, vitamin C protects your brain against free radicals, unstable molecules that cause cell damage. Vitamin C-rich foods include fruits — particularly citrus, broccoli, bell peppers, spinach, strawberries, tomatoes, Brussels sprouts and potatoes. The RDA for adults 19 years of age and older is 75 milligrams a day for women and 90 milligrams for men. One medium orange, for example, contains 70 milligrams of vitamin C, and a 3/4-cup serving of orange juice contains 93 milligrams. Vitamin B-6 is required for production of several neurotransmitters, including dopamine, norepinephrine, serotonin and GABA. That makes it a good vitamin for focus. Confusion, or lack of concentration, can be a symptom of serious vitamin B-6 deficiency. Neurotransmitters are chemical messengers that carry signals between neurons — specialized cells that send and receive electrical signals within your body. Good food sources of vitamin B-6 include legumes, soy products, fish, poultry, meat, potatoes, bananas and watermelons. For men and women age 19 to 50 years, the RDA is 1.3 milligrams per day. The RDA for adults 51 years and older is 1.5 milligrams for women and 1.7 milligrams for men. A 1-cup serving of canned chickpeas, for example, would contain 1.1 milligrams of vitamin B-6. Getting sufficient vitamin B-12 is vital for ensuring your brain's proper function, so it's a good vitamin for focus. Vitamin B-12 deficiency affects 10 to 15 percent of adults over the age of 60, according to the Linus Pauling Institute. When you lack sufficient vitamin B-12, nerves' myelin sheath, which is like the coating around an electrical wire, is disturbed, resulting in problems with concentration, memory loss, disorientation and dementia. Good food sources of vitamin B-12 include milk, cheese, fortified cereals, fish, poultry, egg and meat. The RDA for men and women age 14 and older is 2.4 micrograms daily. A 3-ounce serving of light tuna canned in water, for example, contains 2.5 micrograms of vitamin B-12.